Peter Jackson’s vision of Middle Earth, last seen by film goers in 2003’s “The Lord of the Rings: The Return of the King,” is almost intimidatingly epic. The sweeping vistas of New Zealand come off the screen, even in non-3D, in a way that’s simply breathtaking. But the vision is really all that’s shared in this bloated prequel. The epic somehow feels washed away. There’s a lot of them, but they don’t matter. The film starts out well enough, opening on the story of the dragon Smaug taking over the Dwarves home. But then we get a weird flashforward to…about an hour before “The Lord of the Rings: The Fellowship of the Ring” began and then another flashback to 60 years earlier where the story of this film, and the story of Bilbo Baggins (Martin Freeman) actually begins. 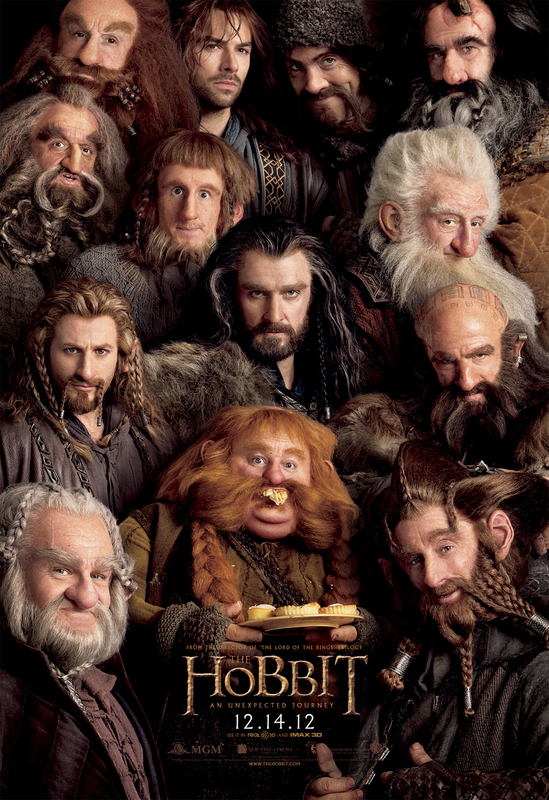 From that point and for the next 45 or so minutes the action all but halts as Bilbo and the audience are introduced to 11 Dwarves with rhyming names (Killi, Filli, Bombur, Bofur, Bifur, etc) and their leader Thorin Oakenshield (Richard Armitage). There are funny moments, and loads of exposition, but unless you’re really invested or already know the story, there is so little happening, even when the Dwarven company breaks into an impromtu dirge, that the casual movie goer would be getting pretty antsy. Once the titular “unexpected journey” finally commences, Jackson does a great job of breaking up the travelogue-esque feel with sidestories and flashbacks. Both not only provide character development but also help to inform this quest that the party is on. The story though is nearly all Freeman’s who manages to really play up Bilbo’s befuddlement at his involvement in this quest while not coming off as empty-headed or painfully naive -traits that Elijah Woods’ performance as Frodo desperately needed (until he acquired the whole “resigned to death” mopiness of the third film). I realize I’m coming off as harsh towards this film, and that’s not my intent (many of you know I have a particular dislike of the book, and I promise this fact hold no bearing on my opinion on the film). But, as a prequel it can’t help being compared to the original trilogy and “The Hobbit” as a story is weaker than that of “Lord of the Rings.” Add to that the fact that this was originally supposed to be part 1 of 2 whereas now it’s part 1 of 3 and the whole thing feels rather padded. We won’t really know to what extent this film was affected by the decision to lengthen the story until part 3 is released in 2014. But “The Hobbit” always was, and was always meant to be less than “Lord of the Rings” in all ways. A smaller story, a smaller scope, a smaller feel and, while that’s fine in a book, in film-especially in a film that by design is reminiscent of a much larger group of films- it creates a weird disparity. The story doesn’t fill the world and it all gets lost in the clutter. In fact, the only scene that feels “right” is Bilbo’s encounter with Golllum (Andy Serkis)- the direct beginning of “Lord of the Rings” in many ways- as it’s appropriately small and menacing and disturbing. All that being said it’s still good. In fact, the streamlined nature of film versus books made the story much more engaging for me in a way I wasn’t expecting. No longer was I lost in a mass of rhyming Dwarf names with no connection to who was doing what when or how, I was able to follow and enjoy the story for what it was. It just…isn’t much. I should also say that the final action sequence of the film goes on far too dizzyingly long and at one point simply felt like WETA was showing off their effects skills. And I fear that’s how these films are being stretched to fill up 3 movies, this one clocked in at 2 hours and 49 minutes and this includes (seriously) a 5 minute scene of the whole cast walking. Jackson wanted this movie seen in the new High Frame Rate version- 48 frames per second as opposed to the standard 24. The upshot of this new technique is everything looks incredible, like the difference between Standard Definition and High Definition television. However, it’s clearly experimental. It takes a while to get used to it as characters will randomly move around in super speed- as if they’re in fast forward-for 1 to 2 seconds before returning to normal. And it happens ALL THE TIME! No rhyme or reason, no way to predict it and it’s insanely distracting. As an experiment I see what he was trying to do but it still needs the bugs worked out before it’s adopted as the new standard. How it will translate to the home viewing market (On demand and Blu-Ray) remains to be seen.